When it comes to content there are a number of employee advocacy strategies available. Many of the ones I have seen are little more than "spray and pray" ie. send everyone loads of central marketing info and tell them to share as much as possible. Sometimes this sharing is even automated and I have seen it fail. 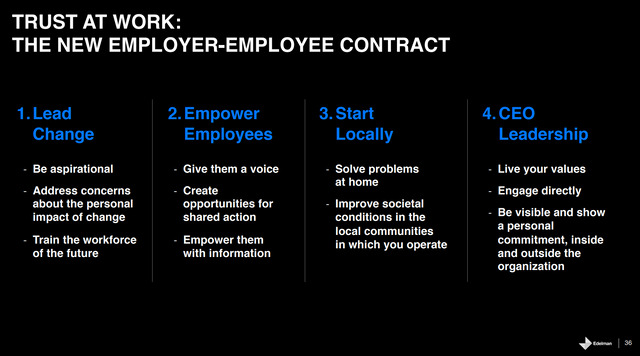 I would argue to truly empower your employees demands more focus and more deliberacy. Give your employees the ability to say what they know about to those who are important to them. Only then, armed with truly authentic expert knowledge from the colleagues they trust, will those close to clients share it. They will do it even more readily if they have the power to shape the content coming down the pipe to them. This is very much in line with my colleague Adam Elgar's podcast here about Distributed Leadership. Enabling and empowering your experts to speak about their niche knowledge to their audience is ultimately very good news for a firm's bottom line.